We’re happy to announce our latest investment in Digital Risks, the digital-first insurance provider for fast-growth technology and media businesses, as part of a £2.25M round alongside Concentric, Atami Capital, London Co-Investment Fund and Beazley. 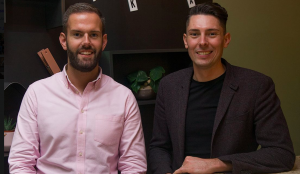 The InsurTech start-up, co-founded by Cameron Shearer and Ben Rose, is challenging traditional business insurance providers with an entirely online experience and flexible monthly subscription model, ideally suited to today’s millennial run, digital-first businesses. Digital Risks has its eyes on the booming digital start-up and SME market, and already insures many of the UK’s top start-ups, in sectors spanning software development and IT services, media, digitised traditional businesses, plus new technology sub-sectors like fintech, medtech and edtech. The UK’s digital industries are growing 32% faster than any other part of the economy, representing 1.9m businesses in the UK, with anticipated growth of 5% each year.